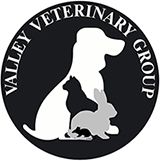 Our Kilmarnock surgery is an RCVS accredited Small Animal General Practice, welcoming dogs, cats, birds, exotics, and small mammals. All consultations during these times are pre-booked by appointment only. Outside of these times are for emergencies only. If you require either a routine or emergency appointment please call the surgery on 01563 530775.